One just can’t have enough of the Flipkart kids. Once sparking a wave across the media shoreline back in 2011, they are now a much-awaited brand voice to reckon with. 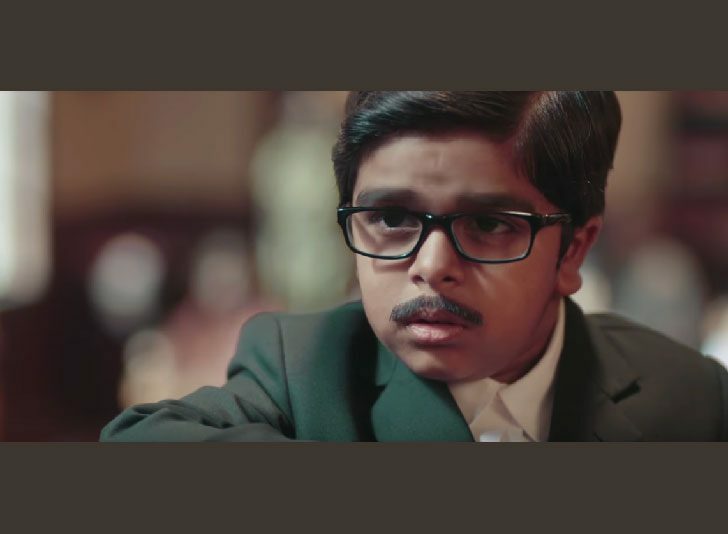 The kids have been helping the homegrown ecommerce brand convey almost all of its services in adorable ad films, throughout its journey of ups and downs. This time, the Flipkart kids are out to catch the attention of all kinds of fashion conscious consumers, through its new campaign – ‘The best way to look your best’. A series of ad films conceptualized and executed by Lowe Lintas Bangalore stars kids as various types of fashion shoppers. In this one, the girls are pretty clear how they want their dresses stitched – one wants hers as a copy of Katrina’s and the other, Alia’s. The tailor, contrary to his business goals, shows them the desired outfits on Flipkart Fashion. The girls let out a collective wow! This one featuring a cute judge is my favourite thus far. Wanting to hasten the court proceedings as he looks forward to shopping, he is advised a great time saver – international brands on Flipkart Fashion. The new campaign is designed to cater to the varying types of fashion shoppers, armed with fun and interesting contextual videos. ‘The best way to look your best’ also walks the talk with the help of youth celebrities and fashion-driven influencers. A series of videos feature one of India’s favourite stand up comedian Rohan Joshi who dishes out style hacks for men with a pinch of his characteristic humour. The 3-minute videos are categorized into style hacking winter wear, shaadi wear, footwear, college wear, office wear and more. In another set, celebs Bani J and Kaneez Surka take the #FlipkartFashionChallenge to find the perfect date outfit. Viewers have been invited to vote for their favourite look and win vouchers. Visuals and gifs make for buzz on the brand’s social media platforms. The website featuring the fashion trends has curated looks based on Bollywood, exclusives, wedding occasions, party look and more. The video-led campaign is apparently out to own the online fashion space, especially now in the wake of Amazon Fashion, Jabong and one of its own – Myntra, along with the rising threat from retail chains that have commenced online shopping operations. What’s interesting is the use of 2017 shopping trends for the design of the campaign aimed at attracting new customers. Flipkart highlights that consumer buying behaviour has seen critical shifts – men are indulging in impulse buying, and taking time to make selections, and there’s been increasing demand from Tier II & Tier III cities. India’s online fashion market is growing and the industry is set to cross $15 billion by 2020. In the words of Rishi Vasudev, Head, Flipkart Fashion, “2018 is set to be the year of disruption for online fashion in India.” The campaign is apparently designed to boost and serve this disruption. ‘The best way to look your best’ has taken the video route to cater to this growing new consumer segment. A curated website, style hacking tips for men and fashion challenge associations with influential millennials has Flipkart covered. It is just a matter of time when the other players would follow suit. The real disruption would, however, be redefined with the changing consumer buying behaviour across the nation.